(ver 1.1) This is now Part 9 in a series of very important basic Christian Bible lessons on the subject of Being Led by the Spirit of God. These lessons contain spiritual information and not natural formulas so they are easily misunderstood by Christians. We have covered a tremendous amount of information that will not be repeated so if you have not read this from the beginning I would suggest that you go and start with “Part 1” first. 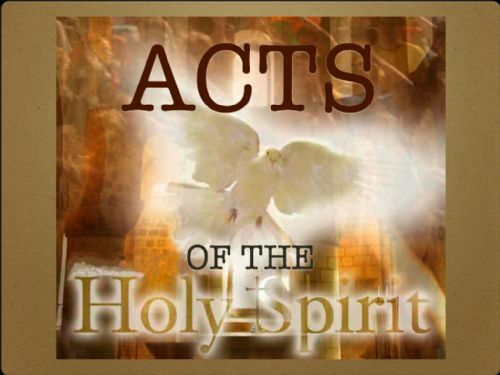 I am currently going through the book of Acts searching for the works of the Spirit of God to lead His people. Just in the first 4 chapters of Acts, I showed you 7 of my 12 guidance methods either displayed in actions or referenced by words. We are seeing God working through His church to guide them and direct them and by learning how God has done this in the past, it will help point us to how God will direct us in these last days. Christians today are in the same church, the same body of Christ, in the same covenant, we read the same Bible, have the same Holy Spirit in us and are the same kind of believers in Jesus Christ as all of those mentioned in the early church that we are reading about in Acts. The mistake many modern Christians make is thinking that God now does something different today than what He did with the early church or perhaps that those in the early church were superior and God did something special and different for them. Somehow these types of Christians have missed the point that the Bible says that Jesus Christ is the same yesterday, today and forever (Heb 13:8). Not believing this Bible truth causes many today to believe God changed how He operates and what He does with His people. That is clearly a misguided teaching that attempts to explain away what God did in Acts as not applying to the church today. I refute that kind of teaching categorically and declare with boldness that I’m in the same Church as Peter, James and John. What they did, I can do, what God did through them God can do through me. But, you can choose to believe whatever you like. Let’s move in the study to read in chapter 5. Clearly not everyone possesses these gifts. It is God’s work that causes these gifts to come and never man’s desire just to have them. Man cannot cause them to happen nor can he ask for them to happen. I want you to notice what Peter was doing when this occurred. He was in the middle of a church service and he was not praying but he was speaking to the people that were gathered. Therefore, Peter was clearly not asking God for the gift when it was given. You see that would be like me coming to you and asking you to give me a thousand dollars when I just saw you get 1000 dollars from the bank. What right would I have to do that? Why would you even consider giving me anything just because I asked for it? You would be very foolish and become very poor rapidly if you gave to everyone that came along and wanted a free hand out. The word would get around quickly that he is giving away free money and then you could never stop the onslaught of people that would knock on your door. Think of children. Children ask for many things constantly that they want. As a parent are we supposed to give them everything they ask for? I hope you can see that would not work. They would want every toy and every sweet thing to eat and would sit around doing nothing but play games. We are no different than children in the world to God. God is not going to give you something just because you asked for it. I guess that is getting too deep for this lesson, because there are promises in God’s word that He has already given to us many things and we still do not possess them because we have failed to learn how to receive things from a spiritual God. Just as parents should not be foolish to give their children everything they ask for, God is not foolish either. God is all knowing and all wise and He will decide when to give a spiritual gift. Here in 1 Corinthians 12:8 God gives some the “word of wisdom” and others the “word of knowledge”. Both are different gifts and manifestations of the Spirit of God to lead you and to guide you and to guide those that are being spoken about or to. A “word of wisdom” occurs when you spiritually know what to do in a certain situation in your life when you would not have known otherwise. A “word of wisdom” is a future knowledge of something to do, unlike the “word of knowledge” which is a past knowledge of something that was done. The “word of knowledge” occurs when you know of something that has occurred in the past to someone other than you and you would have not known of it without God showing you what had occurred to them. This is normally sin related, but not always. One pastor said this happened to him many times while he was in charge of the church that God had sent him to. God would bring a word of knowledge about someone doing wrong in the church like someone that was committing adultery or some other sin. This was done to help bring correction to the situation. But, the word of knowledge does not always have to be a sin. Now the word of wisdom is slightly different. Another pastor once said that he was in preparation at home doing something and God told him that this certain member of his flock was going to die today. So this pastor went immediately to where the individual was to help him and to bring comfort. Both examples were God’s Spirit giving gifts of guidance to help the church. 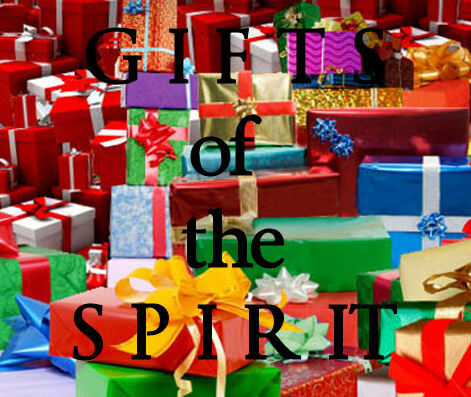 These gifts were examples of God leading His people by His Spirit. I hope you understand them, because they happen every day to those that cooperate with them. Let’s briefly go back and read the context of 1 Corinthians 12 and verify that God is speaking about spiritual guidance. What I wanted you to see in context is that God is speaking of leading the church and that He helps us to understand why He does this in these verses. There are three unique descriptions that are interesting to take note of. These are “diversities of gifts”, “differences of administrations” and “diversities of operations”. What are these speaking of? I personally believe they are simply informing us that God gives us different things at different times in different ways. In other words you can never put God in a box or try to say that He will always do things one way. The key words are diversities and differences. You are not God and you are not in charge of anything. Finally in verse 7, God tells us what it is that motivates Him to do things this way. God directly says it is for the profit or benefit of the entire church. That means God intends His leading to be a positive outcome for the church. Keep this in mind as we continue to study in the fifth chapter of Acts about Ananias. Continuing in the fifth chapter of Acts Ananias falls down dead and is carried out by the church. I guess the lesson and the word of knowledge on this day was not for the benefit of Ananias the dead man, but rather for those that were watching and listening to what was said and done and they all learned that lying to the Spirit of God was not a very smart thing to do. They also learned that God knew when they were lying so it was impossible to get away it. They also saw the demonstration of the Word of Knowledge. This one act put the fear of God in the whole church and they got the message very quickly. What I want you to notice was that this was God leading the church through a spiritual gift called the word of knowledge for what we read was the greater good of the church. Even though we are never told this directly in the chapter, but that was what was happening. The Spirit of God spoke to Peter and Peter spoke what God had shown him to the church. I also want you to notice that Peter described Ananias as having Satan filling his heart and not God. That is an example of another manifestation gift of the Spirit of God called the “discerning of spirits”. It is also clear evidence that Satan was leading Ananias what to do and this was the wrong spirit to listen to. There are so many lessons to learn in this chapter that I really cannot spend the time to speak to them all. I do want you to understand that Ananias’ listening to Satan is why God did not correct Ananias, but allowed Satan to kill him and he fell dead immediately. You’ll probably ask me why I said Satan killed him and this is because Paul writes about another incident in the N.T. that is related. Do you see the effect that this event had on the church? What would happen today if things like this happened again when the church met? I believe the effect would be the exact same. It would promote an attitude of holiness where the church would see that doing right was a good thing and sin was a very bad thing. I’m not predicting that this will happen again, but I would not be surprised if it did. Act 5:12 And by the hands of the apostles were many signs and wonders wrought among the people; (and they were all with one accord in Solomon’s porch. As you read in Acts chapter 5, the apostles continue to do many signs and wonders and preach the name of Jesus until they are thrown in prison in verse 18. If you read Acts 5:12 in isolation, it will give you the impression that the disciples were in control of what was happening, but this is clearly a misunderstood application of God’s works being made manifest through natural men using spiritual guidance, direction and His anointing. If the disciples do any great works they were done by the Gifts and the Grace of God’s power being made available to them and displayed through them. It is only by God’s direct power and man’s faith in His power that anything positive occurred in the book of Acts. I also want to point out that the church in this verse is again stated to be in one accord. This means there was a spirit of church unity and harmony which abounded in everyone and I am convinced that this is how the church will leave this planet very soon. Let me briefly describe the anointing of God and its role in what is happening in chapter 5. God used Peter again to be a human messenger for other people to hear. The Holy Spirit gave Peter a word of knowledge concerning someone who was being influenced by Satan to sin. God also gave Peter the gift of discerning spirits to identify Satan’s involvement. All of this was done for the benefit of the church to teach them and guide them into holiness. Angels again are sent by God for deliverance of the church and for a message from God. Based upon other stories found in the Bible it is implied someone was praying but it is not mentioned directly in this chapter. Therefore, there are at the least three different direct methods of leading being taught in this chapter and a forth that was implied. We can observe the Holy Spirits involvement in this chapter, even though He is never directly mentioned. Act 6:1 And in those days, when the number of the disciples was multiplied, there arose a murmuring of the Grecians against the Hebrews, because their widows were neglected in the daily ministration. Here in this chapter, we are going to see another manifestation of the inward work of the Spirit of God. I want you to notice that the number of the church has multiplied considerably and this is the first time that I know of in the book of Acts where the church is said NOT to be in complete harmony and unity. Uh oh? That is certainly not good. I think this is an example of what happens in any church as they grow. But what I want to do is to teach what God’s response to this disharmony was? If you continue reading in the chapter you will see that the disciples are led by the Spirit of God to elect a church organization with structure assigning certain men jobs within the ministry of helps. These men are selected, prayed over and hands were laid on them to also anoint them for their new roles of responsibility. I want to teach you what is happening by showing you a verse in the New Testament that proves this was God working through the disciples and not the disciples acting independently from God. Whenever you can get the whole church in attendance pleased over anything this has to be the Spirit of God’s direct involvement that is helping to influence the church. Can you see the problem of disunity within in the church and the solution that God has implemented to fix it? What does the Greek word translated as “pleased” mean? This Greek word means “to be agreeable”. It also means to be emotionally excited. Wow, here we go with more difficult spiritual concepts to relate with natural words and phrasings. Believe it or not this had to be an example of God leading the early church and helping to guide them. There is no mention of any angels, any voices, any external signs or any physical manifestations of God. No, you see the Spirit of God was present, but He was present in every believer having filled each of them with the Spirit of God a short time earlier. I want to show you something that Jesus said that is applicable to what is occurring in this chapter. Act 6:8 And Stephen, full of faith and power, did great wonders and miracles among the people. The church was meeting and Jesus said whenever you meet in my name, there I am also. God sees disharmony in the church and moves to solve the problem through spiritual guidance. God leads the church to organize and to create delegated levels of administrations and responsibilities. All of the church is well pleased and church unity is restored. God was working through many different people and in chapter 5 we read about God using Stephen a man not of the original twelve. Proving God can lead us and use us all mightily. In this information God has grown the church to some very large and significant numbers proving God’s involvement in what we are reading about. When disharmony breaks out God is involved in bringing correction proving God has our best interest at heart. There are probably many other things to learn in these chapters but I believe we have covered many of the important ones that I wanted to emphasize on how and why God was leading His people. I also introduced you to the concept of God’s guidance being a gift from God given to us by His Grace. That is actually a very import concept to consider. Anything we get from God is not something we earned or even deserved. If God gave us direction, then it was His love that motivated Him to give it to us. I hope you are enjoying these lessons and I’m sorry I did not cover as many chapters as I would have liked to have covered today. We certainly learned several new concepts about spiritual guidance and I believe that was worth your time in reading and studying with me. If you would like to share a comment on this subject, I would really love to hear it. So feel free to be a blessing and share what is on your heart. God Bless! If you would like to continue reading in the series to learn how to be led by the Holy Spirit you may continue with “Part 10“. Posted on October 16, 2011, in Bible Basics, Bible Study, Understanding and tagged Being Led, Bible, Christianity, Church, God, Holy Spirit, Religion, Revelation, Truth, understanding. Bookmark the permalink. 4 Comments. Thank you, Brother Ron for this teaching. I was noticing in 1Cor.12:28 And God has set some in the church, first apostles, secondarily prophets, thirdly teachers, after that miracles, then gifts of healings, helps, governments, diversities of tongues. Diversities of tongues…..I looked in some French versions and the word tongues is translated by “langues”. If this passage refer to people’s given gift of speaking in different languages, would it say “languages” and not “tongues”? You ask very good questions. To find many spiritual people on the internet has been rare. You’re spiritual questions are a very welcome change from many carnal comments that I have gotten in the past. You are definitely correct in the Bible a tongue or tongues is almost always referring to a language. The Greek word used is glossa H1100 and it is used in 47 verses in the N.T. There are times it is used as the literal human organ called the tongue. But, many other times it is used for languages that people speak. I believe that its usage is dependent upon the context to what exactly it is referring to. A tongue in the Bible is almost always a reference to language. At least that is the clear implied meaning given to us in the definition. However the rich man in hell asked Abraham to send Lazarus to dip his finger in water to cool his tongue. That is a very interesting revelation since his physical body had been buried on the earth and he no longer had a physical tongue. That seems to imply the presence of a spiritual tongue. Interesting, yes? Your question on tongues seemed to come from 1 Cor 12:28. Here in this verse is another example of a spiritual gift of tongues but this gift is much different than the gifts described in other parts of the Bible by the addition of the adjective “diversity”. This is where people start to get confused because they do not understand the power of God and what God can do through people who know how to cooperate with His Spirit. When the disciples were filled with the Holy Spirit in Acts 2, the Bible says they all spoke with other tongues. This meant that they spoke NEW languages that they never learned and didn’t know nor did they understand them. People in the world that have experienced this same manifestation of God know that this is something that God still does today and they normally use this new spiritual gift of a new language in their private prayer time to help them pray. However, “Diversities of Tongues” are usually a public display of the power of God. “Divers Tongues has no value in the private life of the individual. On the earth there are almost 7000 living languages in existence. God knows them all and He can speak them all through a man or woman that yields to Him and this is the spiritual gift of Diverse Tongues. I have seen this in church services several times. God will suddenly speak the language of Chinese because someone in the audience speaks this language and this is a sign and a direct message unto them only. The same speaker can suddenly break into a new language like Hebrew that they also do not know or understand and start speaking that fluently as a sign to another person in the audience who is Jewish. God does this to get people’s attention. There is usually no interpretation given for these types of works of God, because the hearer understood them and that was all that the message was intended for. One day I will do a deeper study on this subject showing you more Bible verses and examples. Tongues are almost always a reference to languages. There are nearly 7000 human languages on the earth and who knows how many spiritual languages there are in existence, but God knows. The Bible tells us that angels have their own language, but they also have come to the earth and spoken to humans on the earth proving they know other languages. You obviously understand languages better than I do since you speak both English and French fluently. Thanks for your question, God Bless. I happen to have a very gifted friend. She is unreal!